Neville Jason Fahy has studied piano in Athens at the “Ethniko Odeio” with Rita Vourtsi, the “Odeio Mousikis Etairias Athinon” with Nillian Perez – Ioannidou, in London at Trinity College with Anthony Peebles, and at the University of Indianapolis (Athens Campus) with Dr.Alla Halapsis and George Manesis. He has an MA in Music , is a Fellow of the Royal Schools of Music, and holder of the Greek Soloist Diploma.He has also taken part in a variety of seminars with Ardakov,Ganev,Hatziniko,Halapsi,Lazko,Manesi and Vasary. During his studies in London he took part in several competitions in England gaining first prize at the "Richmond upon Thames - Music Festival" , second prize at the "Hastings Musical Festival" and third prize at "Kingston upon Thames Festival of the Performing Arts" . He has appeared in concerts and festivals in Greece and abroad in solo repertoire as well as chamber music. He has performed with the “Melody Chamber Orchestra” ,”Bios Chamber Orchestra” of Athens, “UIndy Chamber Orchestra” of Athens, “Youth Orchestra of Bobblingen”, “Orchestra of Kifissia” and the instrumental ensemble “Cantabile” of Kifissia. As of 2012 he has collaborated with the composer George Voukanos (Megaron Mousikis of Athens, National Archeological Museum of Athens, Ionic Center, the 1st Festival of Andravida-Kyllini and the 25th International Festival of Ancient Ilida). He is pianist and founding member of the “Duo Sopiano” (with Elli Anastasopoulou) , “Trio Lirico” (with Elli Anastasopoulou and Vassili Asimakopoulo) and “Musica del cuore” (with Antonella Orefice and Monica Minarelli) ensembles. As a pinnacle of the performances with “Musica del cuore” in 2017, he organized a series of concerts dedicated to his iconic muse Maria Callas in Greece, Italy and Switzerland. 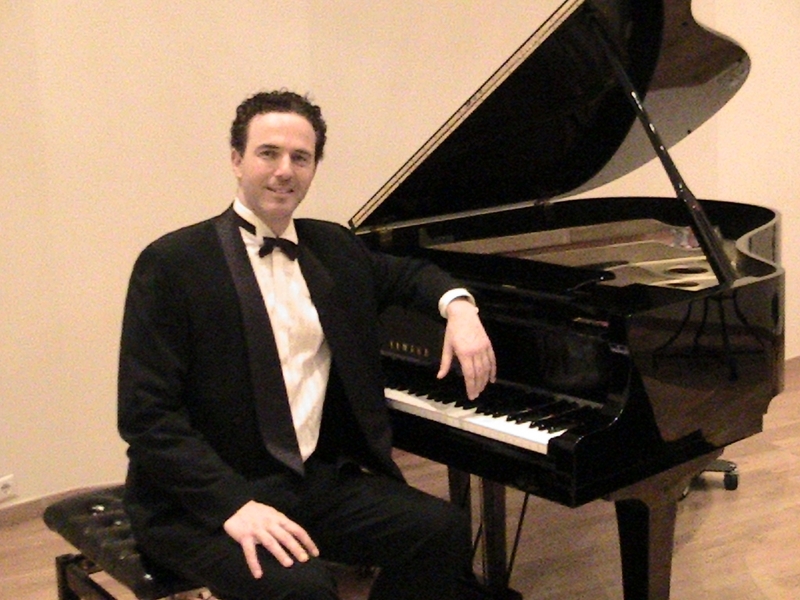 He teaches piano, theory, and Greek dancing at Campion School Athens and has also taught at St.Catherine’s British Embassy School Athens. In addition to the above he has persued an interest for Greek dancing,having danced with the central “ Lyceum club of Athens” troupe, and having taught at the “ Lyceum club” of Nea Ionia for a decade. Since 1993 he has taught the “ Kouroi and Kores “ group of Campion School ,Athens. He currently has a teaching post at the Scuola di Musica "J. Du Pre" ( "Fondazione Mariele Ventre", Bologna).